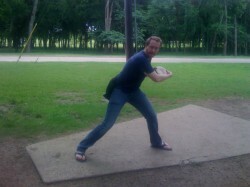 you should sign up for the 2010 ace race on discgolfdallas.com!! I may be out tomorrow depending on my rents. They will be in town and want to do dinner, but their flight comes in at 4/5 so I might make it out later depending but it's not highly likely.